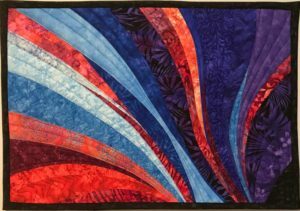 Some days I just want to play with colors and create an abstract art quilt in some gentle curves. The focus is on the colors. This art quilt started out with a different design and color patterns than it ended with. Suffice it to say there was A LOT of ripping and redoing involved! 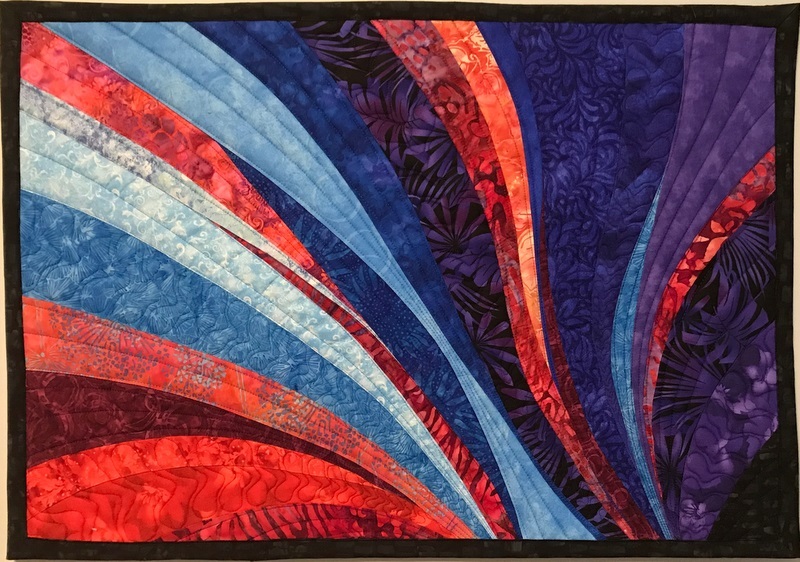 I’ve made a half a dozen curved designed quilts like this so it wasn’t like it was my first rodeo….but, I just didn’t get it right the first time. My original vision had the colors more collected in groupings of similar shades of one color. The first finished produce (no pictures unfortunately) just felt blah to me, nothing special artistically. This 8 hour project turned into about 12 hours but I knew I could fix it. I tried changing the order of the colors and using lights against darks along with the corals against the darkest blues for more contrast in the design. 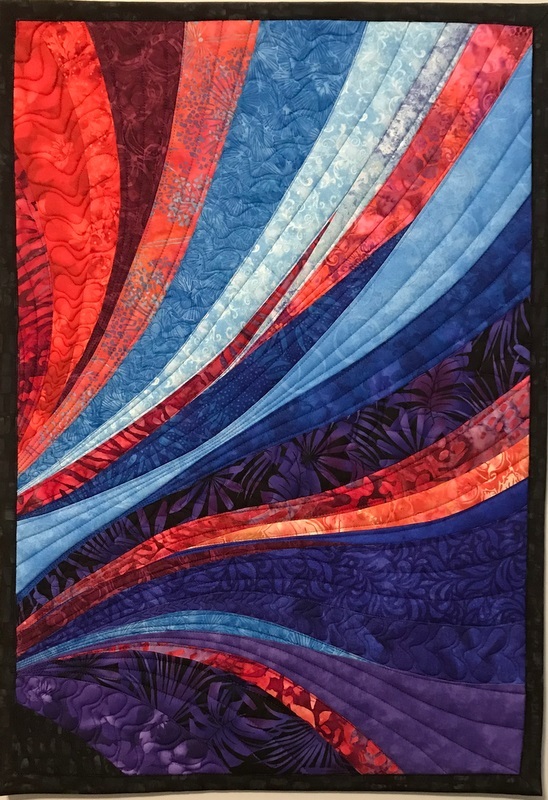 The art quilt I finished I really like. 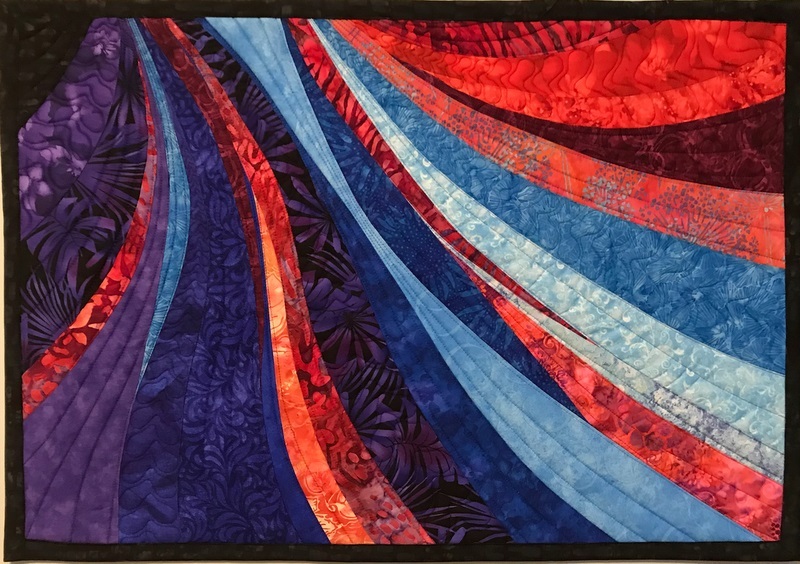 Interestingly, I cannot say for sure which direction I like this quilt best. The photo in the upper corner is the way I designed it. However, I like it hanging any of the four possible positions so I finished it with plastic rings in all four corners for greatest flexibility in hanging. People often ask if I sketch quilts first and have a plan for the way the colors will blend. 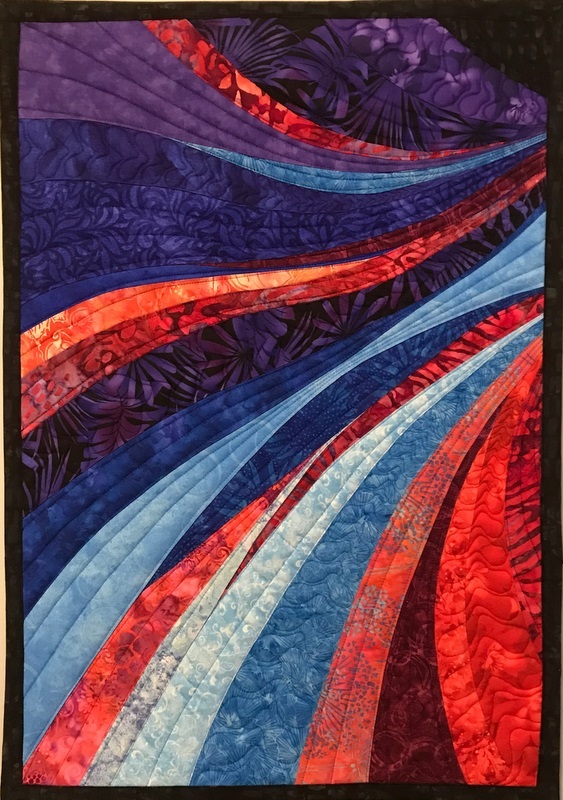 This quilt is an example of NO PLAN!! It is improvisational quilt design and can be lots of fun if you give yourself some room for redoing and new directions. Be creative and try something new!